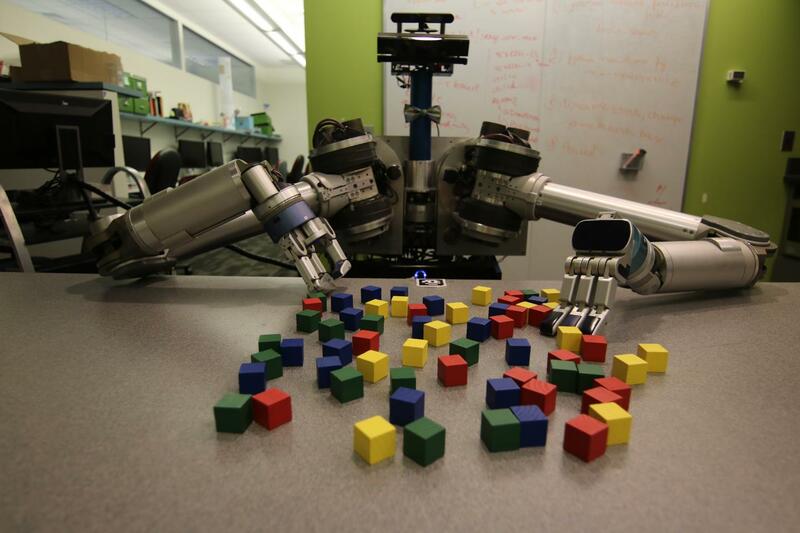 PITTSBURGH–Clutter is a special challenge for robots, but new Carnegie Mellon University software is helping robots cope, whether they’re beating a path across the Moon or grabbing a milk jug from the back of the refrigerator. About Carnegie Mellon University: Carnegie Mellon is a private, internationally ranked research university with programs in areas ranging from science, technology and business, to public policy, the humanities and the arts. More than 13,000 students in the university’s seven schools and colleges benefit from a small student-to-faculty ratio and an education characterized by its focus on creating and implementing solutions for real problems, interdisciplinary collaboration and innovation.